Renta! - A Bitter Love with the Devil Begins!! A bitter love with the devil begins!! For those who like their Sweet Love dripping with Fantasy!! Maria prizes her beloved step-brother Hikaru, but one day he gets into an accident, and ends up in a critical condition. Maria is at Kuroki's every whim, as he makes her fulfill her contract. He even tells Hikaru about his step-sister's contract with him. 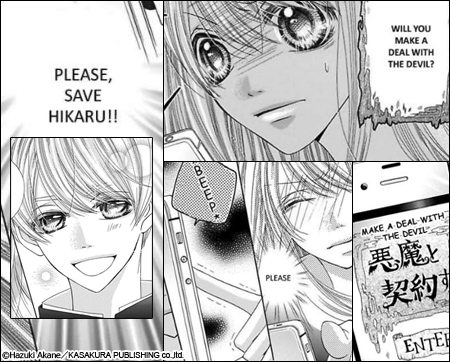 Hikaru is shocked, but Maria is too important for him to lose, and he vows to protect her from the devil. What will happen to the devil and the human girl?